Published: Oct. 1, 2012 at 08:28 p.m. 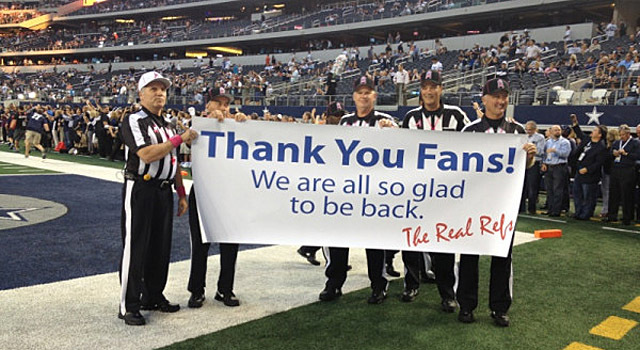 Updated: Oct. 1, 2012 at 09:40 p.m.
Let's face it: Life is markedly better now that replacement officials have been replaced by the real deal. It's cheesy, adorable, awkward and endearing -- all at once. You guys are the best.